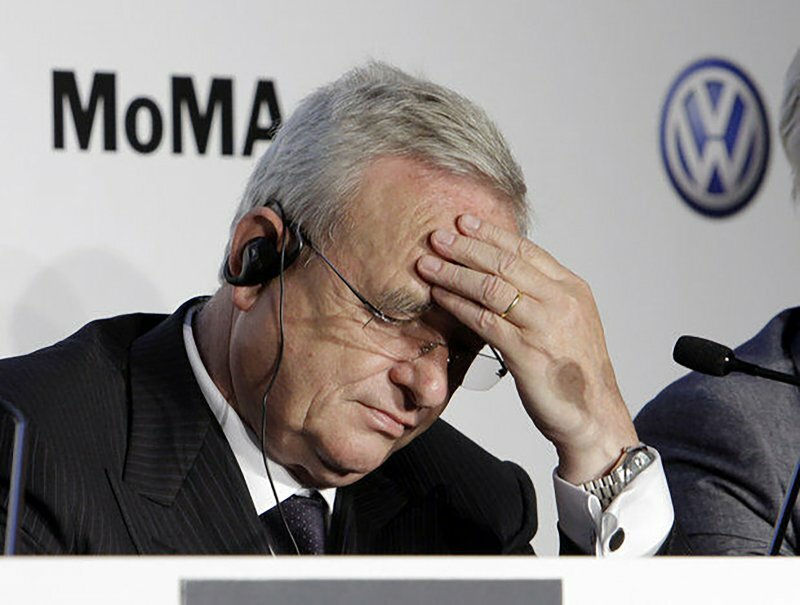 Volkswagen’s former CEO Martin Winterkorn looks disgruntled as he announces his resignation. One of my dreams used to be to buy a Volkswagen Bus as soon as it became financially possible. I always liked the look of them, or maybe it was just the intrigue built around the vehicles. In a movie called “Into the Wild,” a young man named Christopher McCandles, played by Emil Hirsch, lives with a spirited couple in their van turned mobile home, covered in earth-toned tapestries and brass pots and pans. John Steinbeck wrote of traveling across America in such a van in his novel, “Travels with Charlie.” Besides that, Volkswagen always seemed to manufacture well-made cars. I regarded it as the foreign version of Subaru and entertained the idea of one day taking a Volkswagen bus somewhere deep into the prairies of Montana and never returning. However, given Volkswagen’s recent time in the spotlight for its egregious lies, I’m beginning to think I should reevaluate the high regard of which I hold the company. Schadenfreude is a German word, which describes a person who feels a sense of pleasure over another person’s misfortune. It’s a funny sounding word for a heavily charged emotion, but it’s not something I’ve experienced despite the German manufacturer’s recent emissions scandal. For a company that was, for so long, able to point a finger at other companies’ alleged lax emission regulations; it was both disturbing and upsetting to discover that Volkswagen would go down, at least in my book, as another bourgeoisie company that put its bottom-line before the environment, and ultimately the integrity of their namesake. For readers who are unaware, Volkswagen was recently found to have cheated on emission tests for their cars in the U.S. Volkswagen, the largest car manufacturer in the world, is now under investigation by both the Department of Justice and Environmental Protection Agency. They’re currently scrambling to make short term amends for chronic abuse of the law. The former CEO, Martin Winterkorn, has already been ousted and replaced by Matthias Muller. By tossing out its “bad apples,” it seems VW assumes that once the hype dies down surrounding its transgressions it can once again assume the title of the “affordable, environmental, family car,” and go back to doing business, with more emphasis on legality this time around. I would argue, however, that VW’s former glory has been irreparably damaged. Even though the company can likely survive the billions of dollars in fines and compensation it will have to dole out, I think it’s possible that VW will be broken-up or absorbed by competitors, if not rebranded for public consumptive purposes. My fear is that the public will not hold the corporation accountable in much the same way that we all vowed to never buy gas from BP after its unforgivable mishandling of the Gulf spill. It becomes an issue of necessity. We know Walmart is an exploitive store, but we still shop there. Why? Because people, especially Americans, are trained to look out for themselves in the shortterm. We’re repeatedly told that their companies are U.S based, but the realities of outsourcing are hidden and as minuscule as the “Made in China,” tag on your Faded Glory t-shirt. The VW scandal has the same implications. I’m interested to see how the public reacts, but I can’t say I’m optimistic. The most devastating blow to VW is that its misconduct was completely preventable. 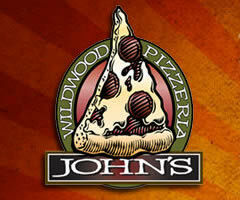 It was human greed that implemented the fraud and it was human error that exposed it. Do other car companies make adjustments when they test their vehicles for regulatory purposes? Sure. They inflate their tires and deactivate air-conditioning and heating systems. The engineers at VW took it a step farther by programming the on-board computer of the car to push the emission results in a lesser direction. Though I don’t know the inner-workings of a multi-billion dollar corporation, I think it’s safe to say that the process of getting employees, managers and executives to keep this fraudulent behavior on the “DL” was unethical. This dilemma is entirely different than the problems we heard about from Toyota earlier in the year, when select models would lose power at a certain speed. We’re dealing with a preventable breach of consumer confidence. The real question I think we, as consumers and an educated public, should be asking of our corporations is “why?” I’ve mentioned that we’ve seen this happen before on behalf of BP and their counterpart Exxon-Mobile, but it’s happening in other industries as well. The banking industry is rampant with fraud (money laundering on part of Hong Kong Shanghai Banking Corporation (HSBC)). Or consider the telecommunication magnate Worldcom, now MCI Inc.,that inflated its assets by as much as $11 billion, leading to 30,000 lost jobs and $180 billion lost in investments. This is not an article about bringing about the demise of capitalism to prevent companies from lying and stealing, although I can only hope that this is something my generation will live to see. This is, instead, an article about how companies have, for too long, used humans as pawns in their cutthroat, lucrative schemes. This is a condemnation of the cognitive dissonance that seems to come part and parcel with working in the business world. Leon Festinger, a 20th century psychologist, once made the claim that “humans are not a rational animal, but a rationalizing one.” The notion that we allow corporations to act first and justify later is inexcusable and, if not addressed, will have undesirable outcomes. Through ethical ubiquity I think VW rationalized their oversights. The consensus among those involved in fraud must have been a notion that “hey, if he’s doing it, then it must be ok.” Groupthink is dangerous as is, but groupaction is a more apt term for the harm that’s inflicted by companies that pay a high price for employees who, quite robotically, refuse to ruffle any feathers. I also believe enough people involved in the scandal believed they were participating in a “victimless” crime. When one only has an abstraction of the environment as a precautionary factor, for some it appears to be less convincing than a more visceral repercussion. Of course, political motives should not be overlooked. In a nation where Republican leaders continuously deny the existence of global warming, and generous donations are made to companies who decide to confront the EPA regulations, it’s possible to see how this toxic mentality to assuage the conscience of lawbreakers evolved. Will Volkswagen make a comeback? Probably. According to Forbes, VW made $254 billion in revenue in 2012, and its assets were worth $408 billion. Its reputation has been tarnished, but in the end, Americans will likely return to the manufacturer. I’m not sure if the answer to punishing VW lies in boycotting the brand as much as it does in stricter regulations and retributory fines that the greedy company will have to, despite all its efforts to thwart, pay. I hope that the fines at least make investors and buyers wary of VW, that’s only fair.